Yesterday, the Raggy Waltz staff brought to my attention that it was Cal Tjader’s birthday. Today, the Raggy Waltz staff have alerted me to the fact that it’s the birthday of another famous Northern Californian jazz musician. 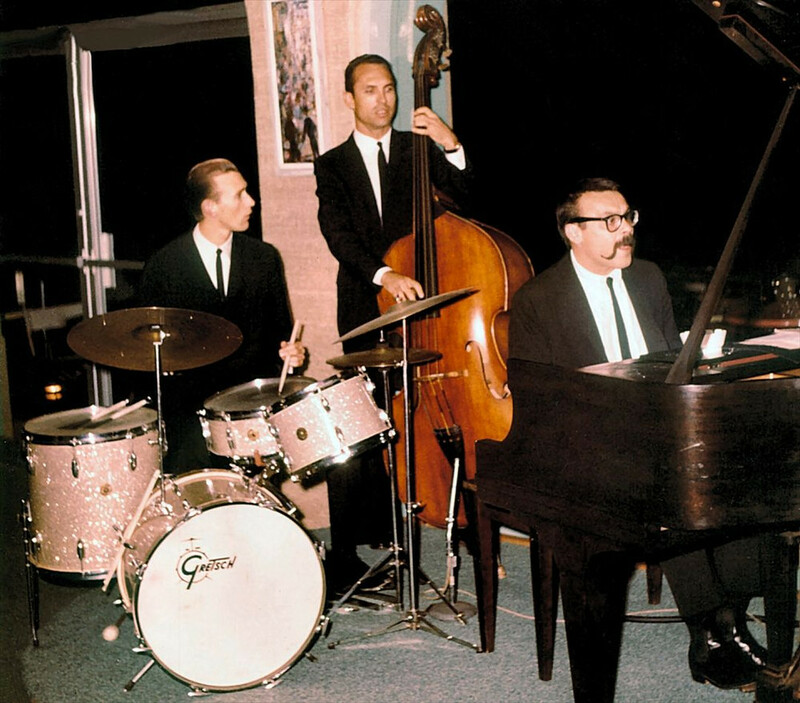 Born 90 years ago on July 17, 1928, pianist Vince Guaraldi was not only a contemporary of Cal Tjader’s, but in the early 1950’s and again from 1956-59 was Tjader’s sideman in his combo. Small world when you’re a Californian jazz musician. In fact, one of the tunes I used in Tjader’s tribute yesterday featured some wailing blues piano by Mr. Guaraldi, which if you missed it, you can read and listen to here. Besides having a distinctive sound on the piano, Guaraldi had a unique personal look and style. With his thick horn-rimmed glasses, long handlebar mustache, and propensity to dress in sweaters and jeans, Guaraldi looked more like a modern-day hipster than a jazz musician. Guaraldi’s first appearance on record was with Cal Tjader’s Trio in 1951. He formed a trio in 1955 that was popular around San Francisco before reuniting with Tjader in 1956. He received favorable exposure during his stint with Tjader, particularly during a rousing midnight-hour performance at the 1958 Monterey Jazz Festival. Striking out on his own in 1959, he seemed destined to be a locally-respected musician. In 1962, he decided to record a jazz album of tunes from the soundtrack of the Brazilian film ‘Black Orpheus’. The music from the movie, written by two Brazilians in the bossa nova style, fascinated Guaraldi. In addition to recording jazz versions of the Brazilian music, Guaraldi recorded a couple of originals for the album. One of them, “Cast Your Fate to the Wind”, became a surprise hit and the resulting album ‘Jazz Impressions of Black Orpheus’ (a not so subtle reference to Dave Brubeck’s string of ‘Jazz Impressions’ albums (see, I told you it was a small world when you’re a Californian musician)) became a best seller. Guaraldi had finally crossed over into national fame. In 1965, he was tapped to write and record music for Charles Schultz’s cartoon TV special for Charlie Brown. Guaraldi agreed. One of the projects he worked on was the Charlie Brown Christmas Special. Broadcast in December of ’65, the special featured Guaraldi’s original music and debuted many of his tunes that went on to became classic Christmas songs such as “Christmastime Is Here” and “Skating”. Guaraldi continued to provide a jazz-oriented soundtrack to the cartoon series from 1965 until his untimely death from a heart attack in 1976. 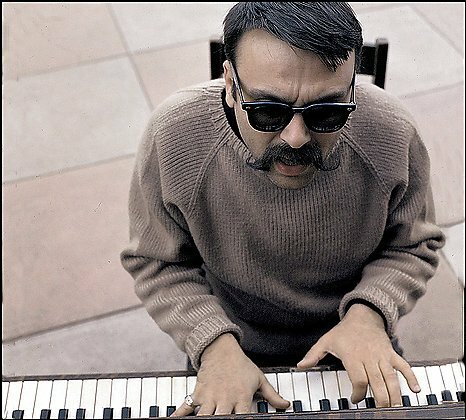 As big a fan I am of Cal Tjader, Dave Brubeck, and Paul Desmond, I’m sure it sounds like mere hyperbole to exclaim that Vince Guaraldi is one of my favorite jazz musicians of all time. This, however, is no exaggeration. When I was a youthful boy in the 4th grade, the first CD I ever bought was a Vince Guaraldi compilation disc. While the rest of my classmates were humming songs from Radio Disney and whatnot, I was humming Guaraldi’s original tune “Ginza”. In the 5th grade, the elementary school counselor asked me what I wanted for Christmas, probably half-serious. 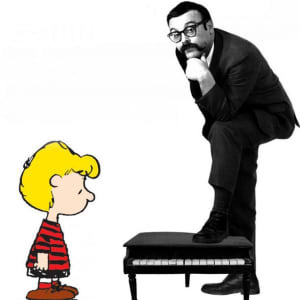 I quickly replied that I wanted Vince Guaraldi’s 1957 album ‘A Flower Is A Lovesome Thing’. How I even knew about that album when I was 11, I’ll never know. The counselor surprised me by buying the CD after all. I didn’t realize it until January, however, since she kept it to listen to herself. As a musical tribute, here’s Guaraldi playing an original tune entitled “Star Song”, performed in the bossa nova style Guaraldi loved, on a San Francisco TV show in 1963. His signature mustache and glasses are on full display. The great Brazilian guitarist Bola Sete is on hand. Fred Marshall is on bass and Jerry Granelli is on drums. The fun the men have is palpable. Happy 90th, Vince! Previous postHappy Birthday Cal Tjader!